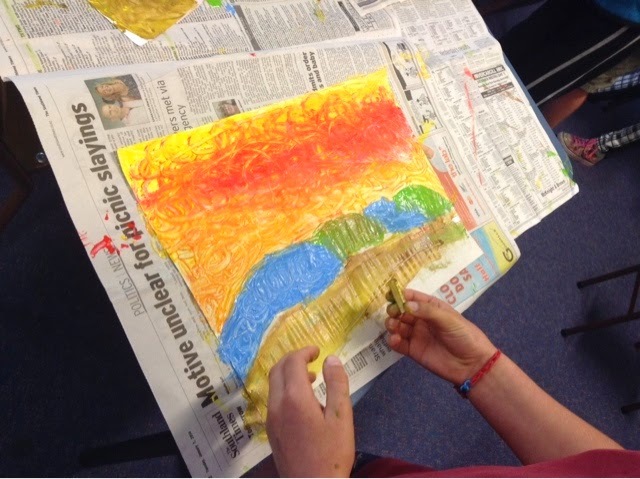 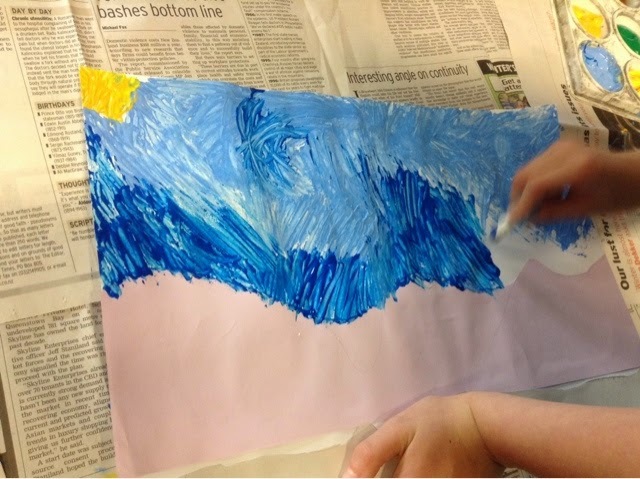 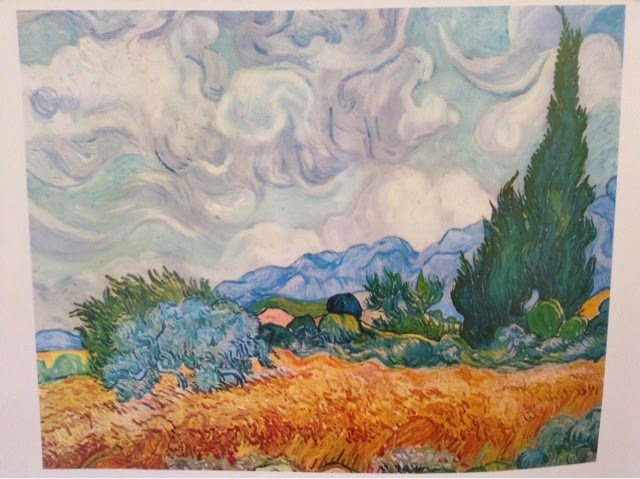 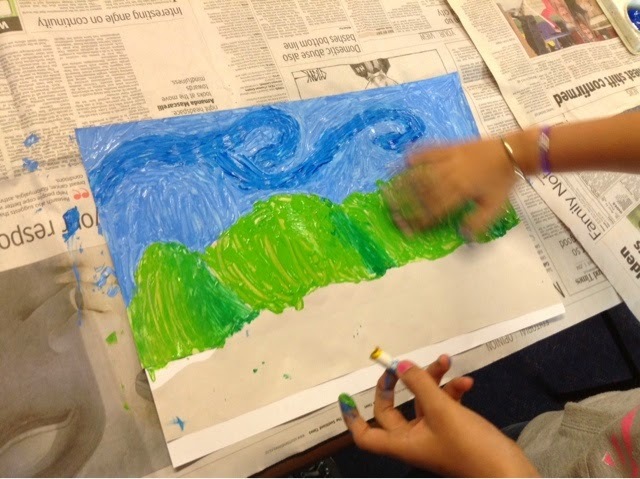 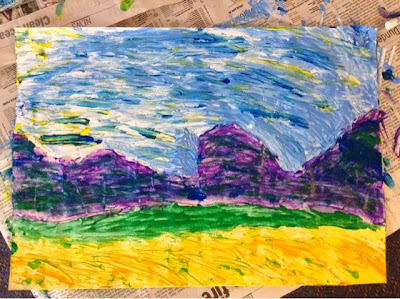 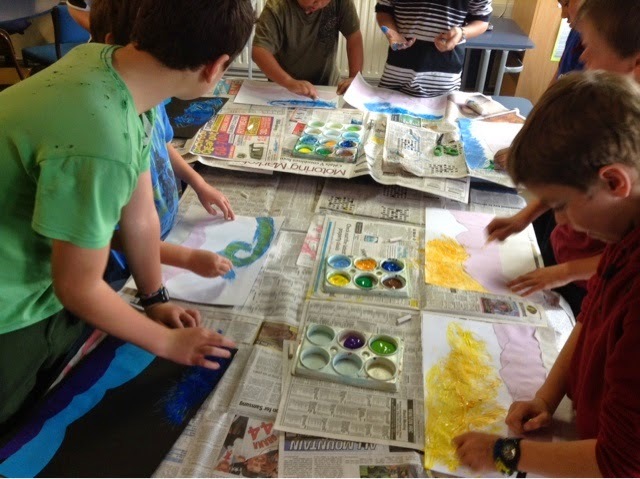 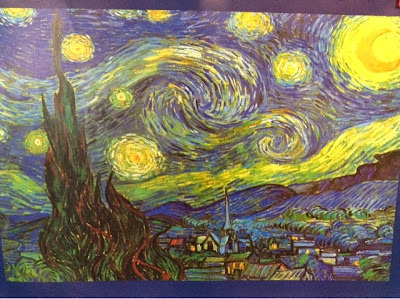 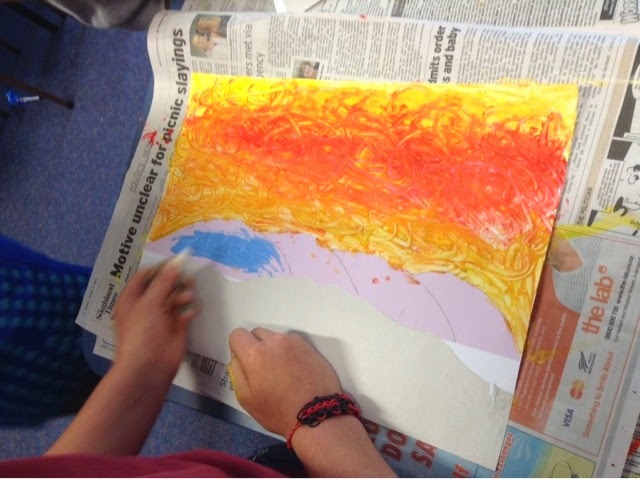 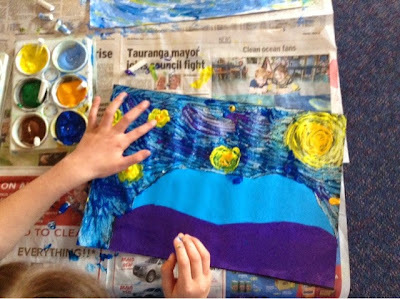 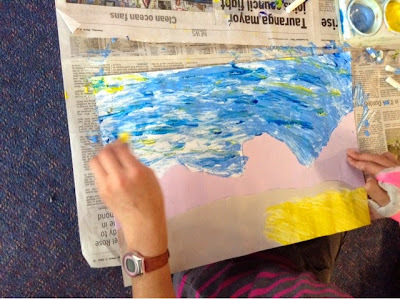 Saw a wonderful idea using Van Gogh's 1889 'Cypress Trees' painting on Deep Space Sparkle using chalk as the painting tool. 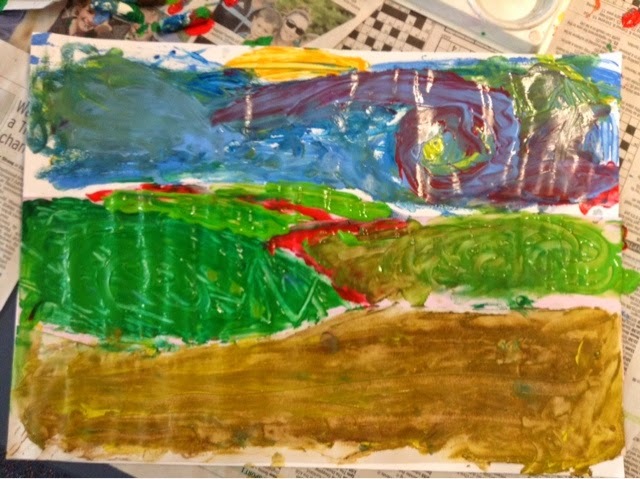 They then chose to either do a daytime or night time landscape based on the two paintings. We looked at the technique used on the Deep Space Sparkle blog. 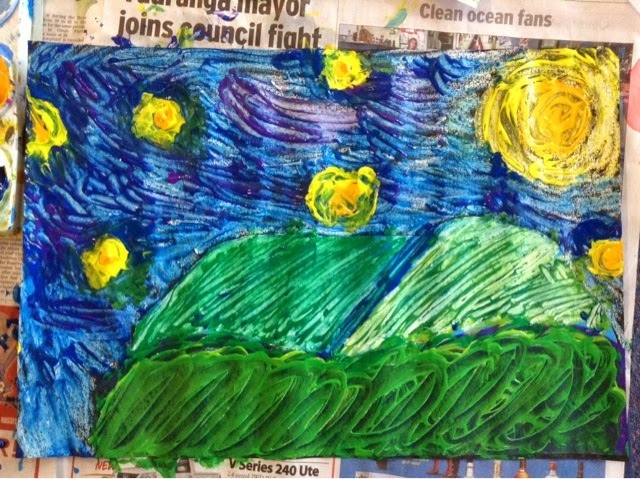 Daytime painters used white cartridge paper while the night time painters used black sugar paper. 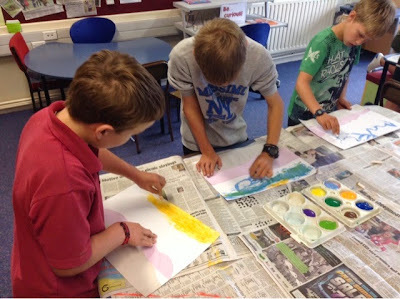 Everyone had access to the same set of paint colours: greens, blues, purple, yellow, orange and brown. 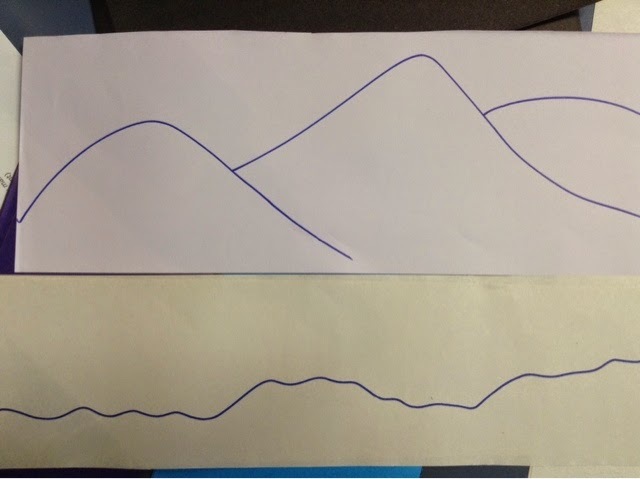 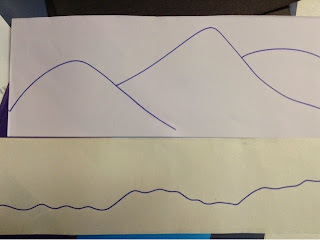 First we cut out our hills and foothills shapes to glue onto the base paper. See all 21 artworks here on the classroom blog. We discovered that the black sugar paper, being slightly rougher in texture, meant that the chalk would rub onto the paper as well while the paint was stroked on and therefore added shading and texture to the paint strokes, while the white cartridge paper was too smooth to cause the chalk to rub off. 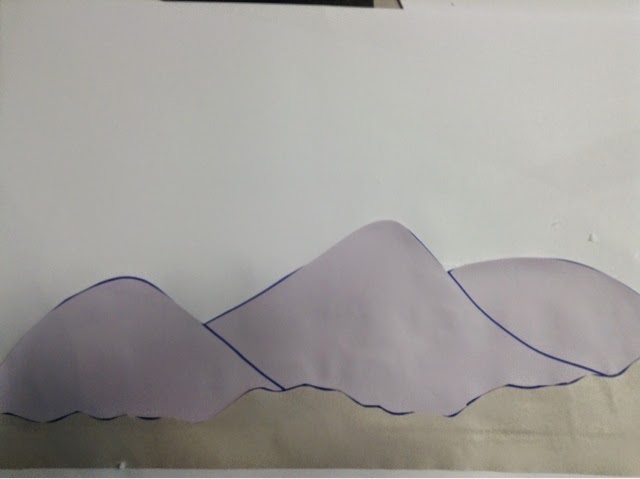 So next time I would try to use sugar paper for all layers of the picture to help with that texture and toning. Also from Deep Space Sparkle - cool and warm modern landscapes using chalk pastels - something else I would like to try!